CWS Carolyn needs to rework this from the Anderson perspective!! 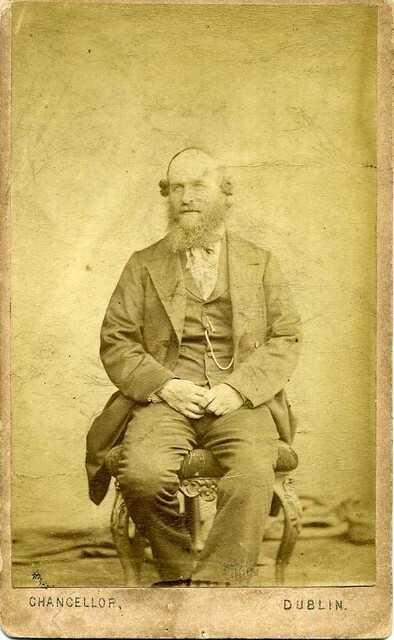 John Oram was born in Castle Cary, Somerset, youngest offspring of dairy farmers James and Susannah Oram nee Bartlett who both died when John was in his early teens. John was interested in the improvements in agricultural practice and in his early 20’s worked on a ‘model farm’ at Stockton in the Wylye Valley in Wiltshire. Following his marriage to Jane Talbott of Sparkford, Somerset he became a bailiff at Manston, Dorset. Soon his employer had financial problems and in the early 1850’s John moved to nearby Iwerne Minster close to where Captain Wyndham lived at West Lodge. Captain Alexander Wadham Wyndham 1800-1869, a retired Captain in the Scots Greys had recently purchased land in Burrishoole and was looking for staff for the estate. In 1853 John, Jane and their three young children moved to Burrishoole with a group of local Iwerne men. The Oram family lived at Maryland while John built a Somerset style farmhouse and outbuildings in Corranboy, near to where Burrishoole Lodge would later stand. John started keeping a diary on 1 January 1853 in which he recorded the family’s move to Burrishoole Farmhouse on 18 January 1855. Later that year Captain Wyndham appointed John as agent to the estate after John had proved ‘much exposure of hand’ by the previous agent. As well as being the estate’s farm manager and agent John also farmed on his own account and was agent for Colonel Vaughan at Rosturk Castle and for the Grant-Bushby estate at Lagduff, Ballycroy. John also received commission for letting local houses and sporting rights. John Oram’s interests John took an interest in the local farming methods and how they could be improved. 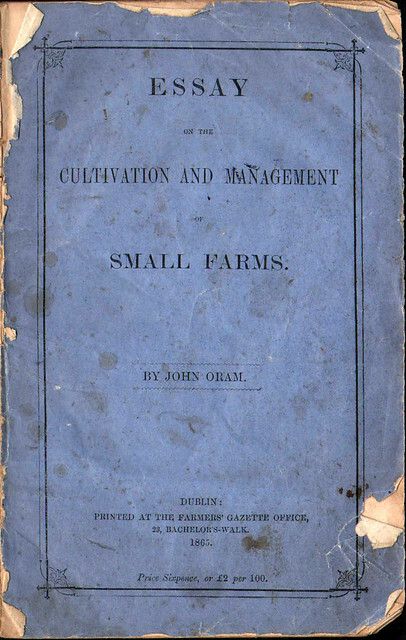 He wrote a series of articles for the Farmers’ Gazette that, in 1865 was printed as a pamphlet entitled ‘Essay on the cultivation and management of small farms’. 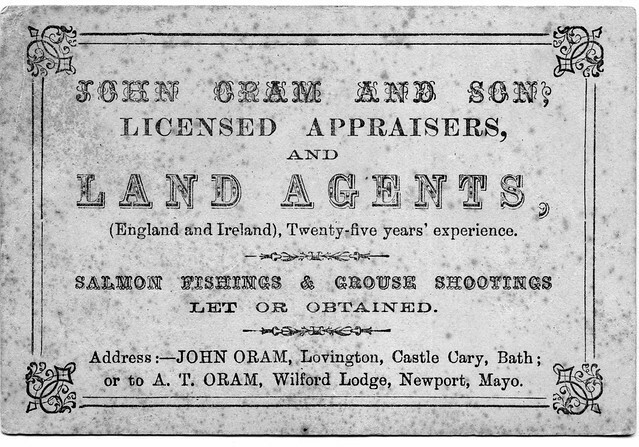 Images of pamphlet, opens page in The Oram Family at Burrishoole website From about 1857 John was an inspector of fisheries and an elected member of the Board of Conservators of Fisheries, Bangor District, attending meetings in Ballycroy. 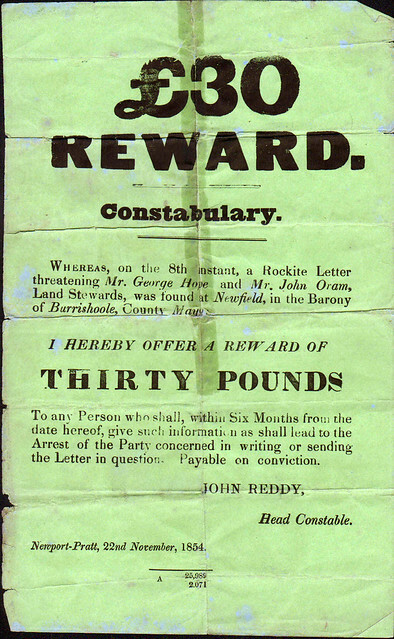 Agrarian unrest and attempt on John’s life Considering the tension between landlords and tenant farmers in Ireland it was not surprising that in November 1854, about eighteen months after arriving in Mayo John was sent a threatening ‘Rockite Letter’. There is also a family story that a ‘potential assassin’ walked in the Oram’s home where they confronted John’s wife Jane: “Jane talked to him calmly and with much dignity. Mercifully he went away again quite peaceably after Jane’s courteous treatment.” On 1 October 1872 John had visited Aughness to collect rents and then dined and stayed the night at Lagduff Lodge. The next day he paid the waterkeepers before returning home. He was shot at a mile beyond Dooghill, as he was approaching Mallaranny. Luckily the bullet just missed John, going through his ulster cape. Quest for a farm in England By 1873 Jane had given birth to fourteen children, ten of whom survived and had been brought up in an environment usually hostile to John and his fellow agents and non-Irish farmers. Despite surviving an attempted assassination it is said that John enjoyed being in Mayo but Jane was, understandably uneasy and missed her family in Somerset. Captain Wyndham was aware of this and his brother offered John a job in Wiltshire, that John turned down. A number of the local landowners including Colonel Vaughan at Rosturk Castle and Nathaniel Simes at Raigh (and Teevemore) also suggested that John took farms on their home estates in England. In a letter to his sister Mary, transcribed in his diary John considered a farm near his parents-in-law in Somerset. To Clinsfold Farm, Slinsfold, Sussex, England In October 1873 John took over Clinsfold Farm on Nathaniel Simes’ estate based at Strood Park near Horsham in Sussex. He moved with his wife, Jane, fourth and youngest son Alfred and six daughters. While John was in Sussex he made a number of trips to Mayo to buy livestock. Arthur, land agent and William Rose, farm manager In 1873 John’s second son Arthur resigned from his job at Paddington Station, London (see below) and moved back to Burrishoole, taking over John’s agency work. John appointed William Rose, son of his friend Newport farmer Henry Rose, as the Burrishoole Estate farm manager. Both Arthur and William lived at Burrishoole Farmhouse. John Oram’s return to Mayo John stopped writing his diary when he moved to Sussex and did not write about his four years in Sussex until he had returned to Mayo. 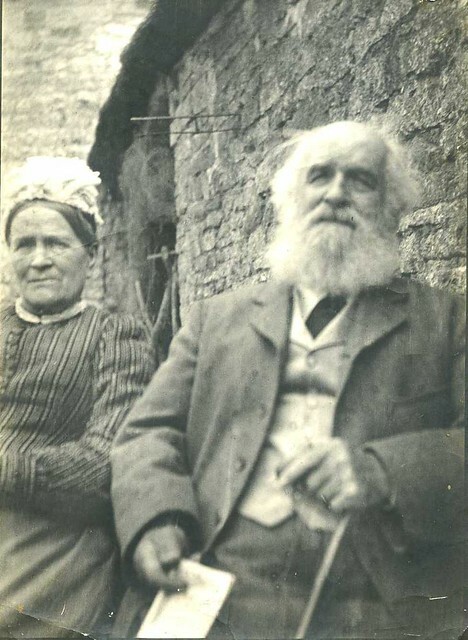 At the start of 1876 ‘began seriously to think of leaving Clinsfold – Mr Simes offered me the whole of his Irish farming.’ He must have been expecting some of the family to remain in Mayo because on 29 September 1876 he leased Nathaniel Simes’ land at Teevemore, near Newport for 31 years. In December of this year  received letter from Mr Kennedy from Belfast informing me that Mr W Pridham of Wilford Lodge had asked leave to sell out – therefore a correspondence ensued between myself Mr Pridham and Mr Kennedy and Mr Pridham snr of Bristol – resulting in Mr Kennedy purchasing Mr Pridham’s interest in his farm and reletting it to me – Arthur and Jane [Arthur’s sister] going to live at Wilford – I looked on this as a chance in case I was obliged to leave Clinsfold but still had not determined to leave. Went to the Cattle Show at the Agricultural Hall London – met Mr Stoney snr. John recorded that in March 1877 he was ‘over £200 the worse since entering Clinsfold’. Luckily John then met Mr Anscombe who was keen to take over Clinsfold Farm including all the livestock for a lump sum of £1875. On the 23 April 1877 John ‘surrendered’ Clinsfold, then settled his accounts, packed and arrived at Wilford at 6pm on 27 April. When John checked his accounts he found that he was £147 better off than when he had left Ireland in October 1873. John moves to Somerset Arthur stays at Wilford Although John was pleased to return to Ireland Jane’s health soon deteriorated. When John’s cousin Marshall Bartlett visited them he persuaded John that he should find a farm in the area of Somerset where John and Jane had been born. John considered a number of farms until he decided on Charity Farm, Lovington. 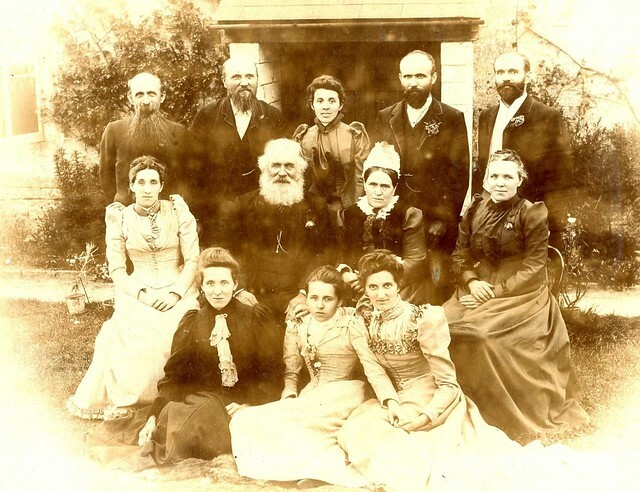 In the late summer of 1881 John, Jane and their six daughters left for Somerset. Arthur remained at Wilford where he was joined by his wife Catherine Love Anderson after their marriage in October 1881. 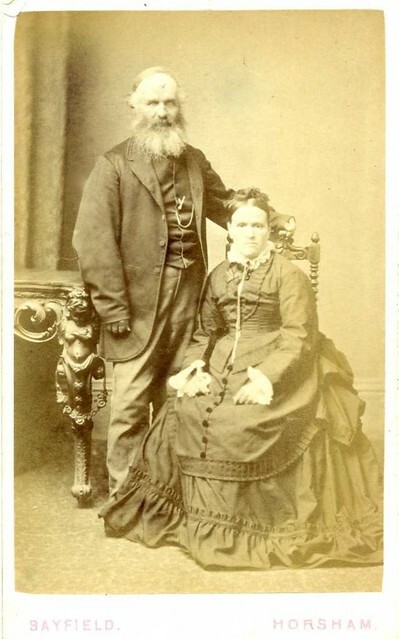 Arthur and Catherine lived at Wilford Lodge for the rest of their lives. John in Somerset John continued keeping his diary for the rest of his life, recording his farming activities at Charity Farm, visits to Mayo and his retirement at Little Weston in the parish of Weston Bampfylde where his parents had farmed. Jane died in 1906 and John in 1907. John Samuel Oram 1847-1913 Colonel Vaughan who owned Rosturk Castle arranged for John and Jane’s eldest offspring John Samuel Oram to be an apprentice at The Great Western Railway’s works at Swindon, Wiltshire. From there he moved to Clydeside before emigrating to Cleveland, Ohio in 1867 where he married Jane, daughter of Gilbert Clark who had been a stockman on the Burrishoole estate. 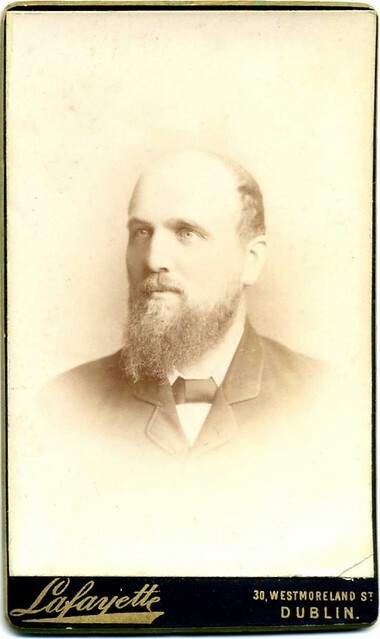 Arthur Talbott Oram 1853-1919 In 1869, on leaving Athlone School and two years after John Samuel had left for America, Arthur became a lad clerk at The Great Western Railway’s offices at Paddington Station, London. It was Arthur who returned to Burrishoole when his parents moved to England. James Henry Oram 1857-1917 ‘Jemmy’ who had a very happy disposition was his parent’s favourite who became an alcoholic. In July 1872 Jemmy started a course at the Albert National Agricultural Training Institution at Glasnevin, Dublin. 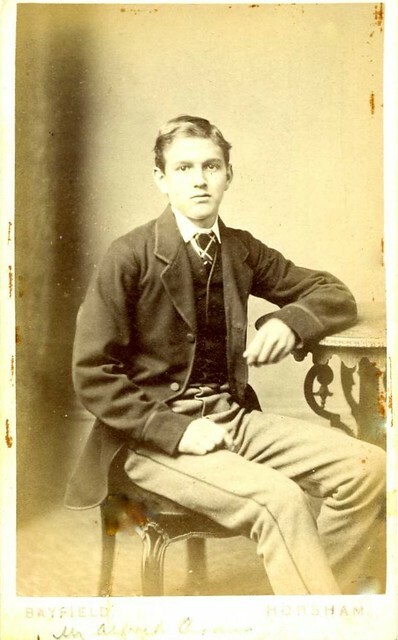 In May 1874 James left the college and joined his father in Sussex. The college records say that he was an excellent student but give no reason for his departure. So had 18 year old James already become an alcoholic by 1874 and so a danger to himself and others when using machinery? Alfred William Oram 1861-1942 finished his schooling while the family were living in Sussex. Mr Kennedy of Burrishoole Lodge used his influence to give Alfred the chance to work for the Ulster Bank. Alfred returned to Ireland and passed the necessary exams. Which of John’s sons would farm in Mayo? It is highly likely that John was expecting his son James Henry ‘Jemmy’ to take over as farm manager or at least farm in the Burrishoole area, after he had finished his course at the Albert National Agricultural Training Institution. After John moved to Wilford Lodge he noted in his diaries Jemmy’s visits home. Though never mentioned in his diaries John and Jane eventually had to accept Jemmy’s alcoholism. 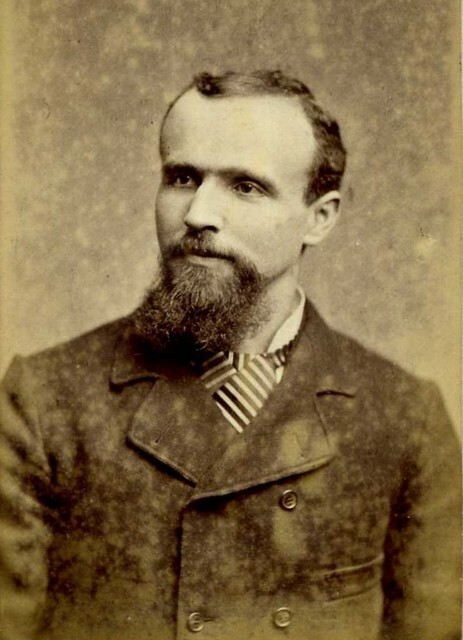 The day that Jemmy left to join his eldest brother John in Cleveland in January 1881 is etched into the family’s history as his siblings never forgot their parents’ anguish. His eldest son John Samuel Oram 1847-1913 was establishing a very successful business in Cleveland, Ohio making machinery that made wooden barrels for Rockefeller’s Standard Oil Company. 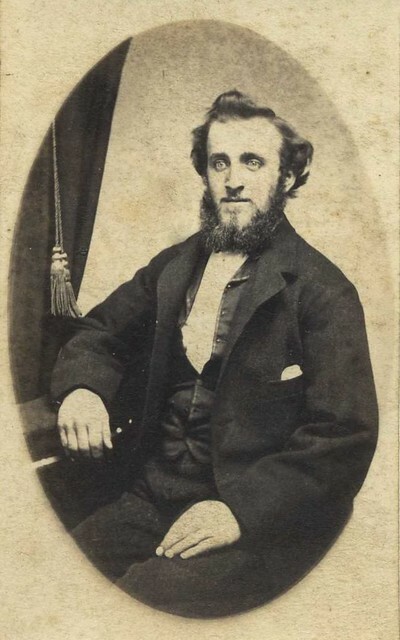 Later John Samuel persuaded his father to buy shares in his company, using them as a cover to ensure that John and Jane were never short of money in their retirement. 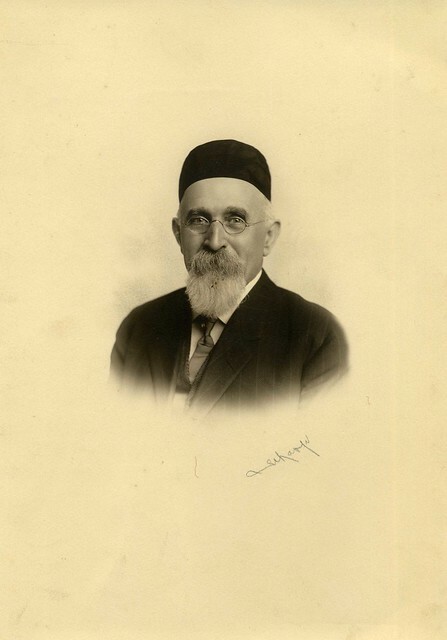 John Samuel had five offspring and the business survived until the early 1950s. 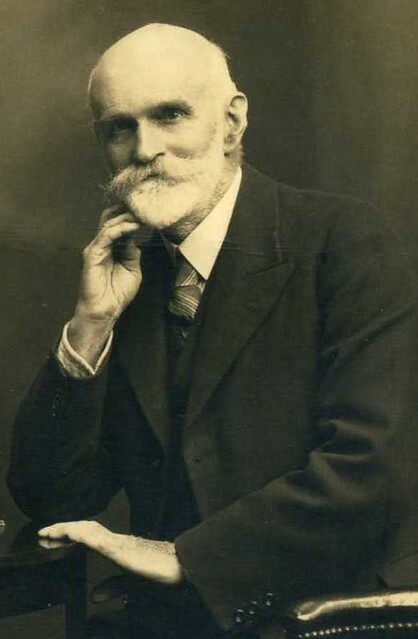 Arthur Talbott Oram 1853-1919 would farm at Wilford and Teevemore and continue with his father’s agency work, leaving a record of his life in his diaries. See below on Arthur’s life. James Henry Oram 1857-1917 ‘Jemmy’ would not be part of the family’s farming and land agent business. Jemmy lived in Cleveland Ohio for the rest of his life, marrying and having three offspring. There is plenty of evidence that John Samuel helped Jemmy to keep in employment including a time as custodian at the Cleveland YMCA. Alfred William Oram 1861-1942 had started on a successful banking career. Later Alfred was to be manager of Ulster Bank’s Lettakenney and Clones branches. Alfred married Jane Finlay Green daughter of coroner and businessman Andrew Green and Mary Jane nee Monds in Ballyshannon, Donegal and had five offspring. 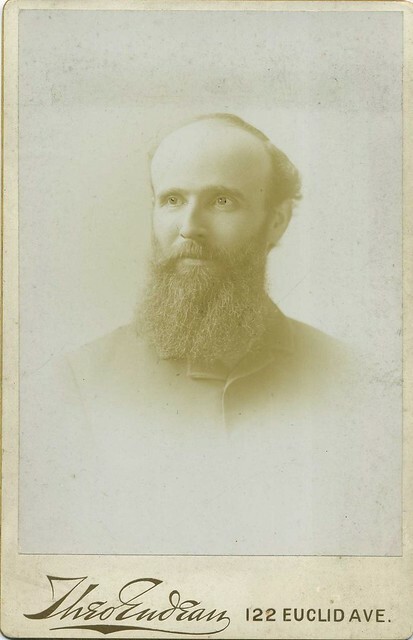 Arthur Talbott Oram was born 25 March 1853 at Iwerne (Minster), Dorset, England and baptised at his mother’s family (Talbott) church at Sparkford, Somerset on 5 June 1853. The family travelled to Mayo when Arthur was a few months old and then Arthur was educated ‘locally’, probably at Derradda school with his elder brother before attending school in Athlone. In 1869 he was employed at Paddington Station as a lad clerk for the Great Western Railway Company, with lodgings at Hanwell, to the west of London. 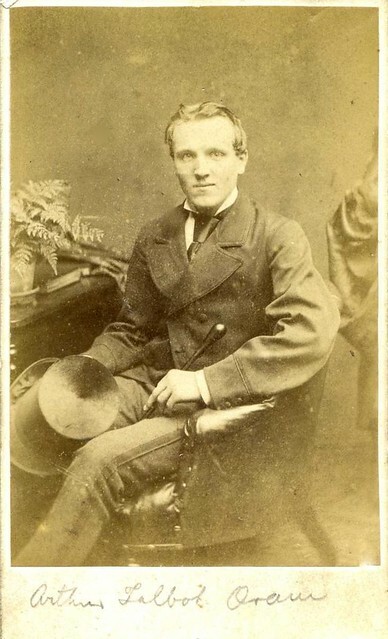 It is not known if Arthur expected to have a career in the Great Western Railway, but he did return to Mayo in the summer of 1873 after his father John had decided to move to in Sussex. As described above Arthur lived at his childhood home, Burrishoole Farmhouse with William Rose and then at Wilford Lodge for the rest of his life. 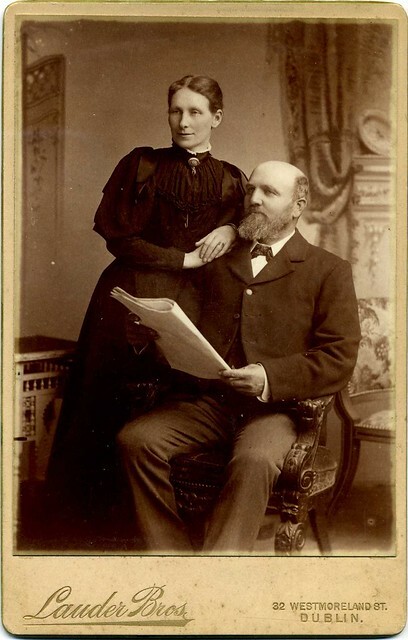 On 11 October 1881 Arthur married Catherine Love Anderson. The Anderson family were Northumberland shepherds who, in 1851 had move to Mayo and taken out leases on farms at Brize and Hollybrook with a total of over 1,500 acres of grazing land. Catherine was from the Brize branch of the family who had moved to Knockroe, near Mayo Abbey well before her marriage to Arthur. In late May 1882 Catherine gave birth to twins Anderson and Jane who lived for less than a month. Their remaining six offspring survived into adulthood, see below. Arthur kept a daily diary and those from 1887 until 1919 have survived and have been given to University College Dublin Archives where they have been digitised with the intention of making them available on the UCD on-line library. The UCDA description of the diaries. Chris and Carolyn Oram have developed a website The Oram Family at Burrishoole that gives further information on the Oram family and showcases many of the family’s photographs, also held by UCD.